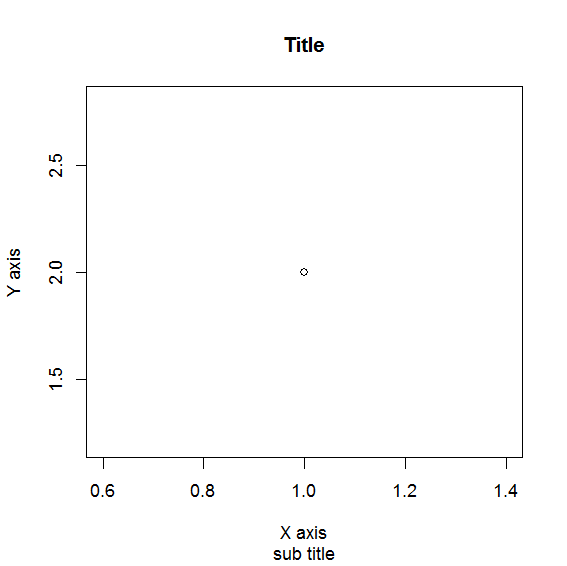 You can define a title and a sub title for the plot and label the axis. Set the according parameters: main, sub, xlab and ylab. 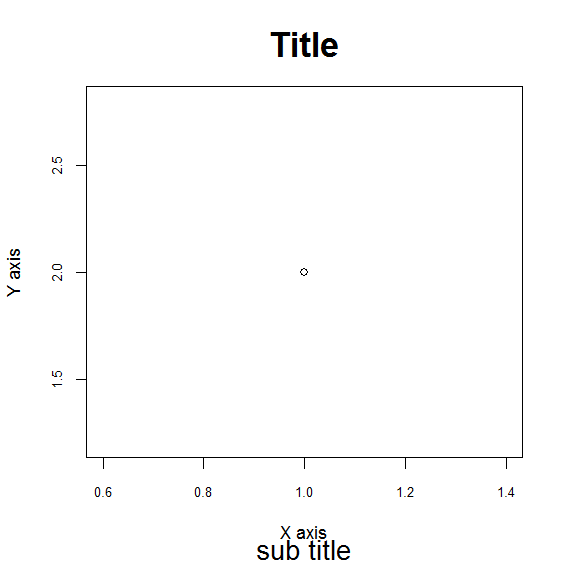 The following example shows an according plot. The size of the text can be modified using the parameters cex.main, cex.sub and cex.axis. Those parameters define a scaling factor, the character expansion factor. A value smaller one will decrease the size of the text and a value larger one will increase it.